Repairman was very knowledgable about the repair issues. Is a very personable and kind person and respectful of my home. I called kitchen aid n tech never put all complaints in system. Only one appliance not both. Kitchen aid is junk! The effort to have our oven repaired was so minimal. I was referred by the manufacturer of our oven. They had a tech out within a couple of days and then the repair happened just as quickly. This was a MUCH better experience than I have had with other service providers. Very happy with the work that was done. Technician was competent, friendly and courteous. Quickly found the problem and resolved it. Couldn’t be more happy. DISHWASHER WHIRLPOOL KUDS03FSSS4 "Found UI bubbling. Intermittent start stop and cycle selection failure. Ordered a new console. If approved, office to schedule install with customer ; ordrng 1 WP8574145 (UI CONSOLE )"
REFRIGERATOR WHIRLPOOL WRS325SDHZ00 "Installed new valve, verified not leaking by after dispensing water leaves one drop at end of fill tube which eventually falls, pulled tubing out of housing dispensed water no small drop hanging on reassembled and tested, had customer test no more drop hanging on, end of fill tube cut at angle do not know if normal if problem returns order fill tube W10898317"
M/W OTR WHIRLPOOL WMH32519HV1 "Installed interlock kit per service pointer, adjusted door operates correctly. ; used 1 W11244494 (INTERLOCK KIT) from stock"
WASHER WHIRLPOOL WTW5000DW1 "No error codes, in manual mode water inlet valves would no activate verified 120VAC to valves, recalibrated machine now able to get valves to operate, unit will complete a self test correctly shifter works tried in manual to agitate and spin basket to listen to bearing control will not activate shifter and engage motor, the wash plate is stripped ordering control, wash plate, and fill valve. ; ordrng 1 W10752283 (washplate) and 1 W11116590 (cntrl-elec) and 1 W11210459 (VALVE)"
MICROWAVE KITCHENAID KMHS120ESS8 Installed motor and support now operational. 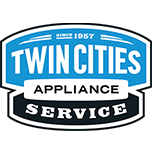 REFRIGERATOR WHIRLPOOL WRS325SDHZ00 "No leakage at fittings verified leak is from dispenser, leak is intermittent possible air bubble in line ordering inlet valve. ; ordrng 1 WPW10179146 (valve-inlt)"
RANGE KITCHENAID KFEG500ESS2 "Testing at350F obtained an average of 348F, within range, reviewed user guide with customer regarding rack placement and temperature offset." RANGE WHIRLPOOL WFE525S0HV0 "331,332,334,370,371,372 average 351.66F operating within in specs." RANGE WHIRLPOOL WFE505W0HS1 "Spoke with Sterling SR7724128395 he suggested squaring element where supports are level took pictures both legs square on pan, the mounting screws are tight where they are fastened the metal is so flexible during expansion the entire element is going to move causing metal to metal noise." REFRIGERATOR WHIRLPOOL WRS315SDHM01 Installed valve no leaks operates correctly. REFRIGERATOR KITCHENAID KRSC500ESS01 "Ff evap iced up and some frost on shelves in freezer fan not running at full speed could be cause of frost in freezer. Will need new fan motor, evap thermistor and ff evap fan with cover which is showing eta 3/1 office to xpart and contact customer for return allow 1 hr on return ; ordrng 1 W10316760 (thermistor) and 1 W11036566 (motor-evap) and 1 W11098695 (fan-scroll)"
REFRIGERATOR WHIRLPOOL GC5SHEXNS00 "When arriving found unit ff at 42 and ff at 5 co p very hot found condenser plugged I vacuum it then found condenser motor had failed also main control is chirping randomly will need new control and fan motor customer paid in full on cc for parts and 85.90 labor trip and shipping reschedule for Friday ; ordrng 1 W10124096 (fan,motor) and 1 WP2307037 (cntrl-elec), used 1 Ship (Shipping/Handling) from stock"
WASHER WHIRLPOOL WTW7000DW3 "At arrival found room GFI tripped and the room very cold. Reset GFI. Ran drain spin to get clothes dryer to remove. Opened console for inspection. Ran an auto test. All tested ok. No leaking from the fill valve, drain pump, drain hose or tub. The water lines and stand pipe are on the garage side wall. Possibly the stand pipe froze, water backed up and overflowed onto electrical outlet for the washer, which is directly below the stand pipe. Causing the GFI to trip. Customer had stated that there was water on the cord plug in the outlet. There is a floor register, but does not seem to be any heat. Customer said the room was extremely cold the last 3 days. Advised customer to contact builder about heat for the laundry room"
RANGE KITCHENAID KSEG700ESS3 "Complaint of temp too low in convection bake says she has to raise temp 25F ran a temp check@350F found average to be 353F, showed customer how to due a temperature offset it is also in owners manual. Explained the etching in cooktop and scratches on console are out of the 30 day cosmetic warranty she will have to contact customer service for approval for replacment."